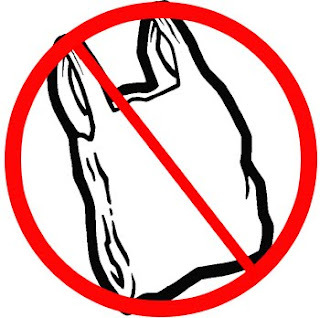 Starting August 1st, 2011 plastic bags will no longer be given at stores in Long Beach. This includes grocery stores, drugstores, farmers markets as well as large chains such as Target and Walmart. You must bring your own bags or be charged 10 cent per paper bag. Most places are also selling reusable bags for around 50 cent. This is wonderful and will mean a huge difference in waste made by using and disposing of plastic bags! Long Beach is not the first to ban plastic bags and I hope it's not the last. I hope to see this ban adopted countrywide in the upcoming months.